The pupusas at Balompie's come in several varieties, unable to remember which ones I liked best I ordered the revueltas, a mix of chicharrones (fried pork) and cheese; and the nopales (cactus) and cheese. Both were tasty, but the nopales was very aromatic worked nicely with the cheese and was all around more flavorful. 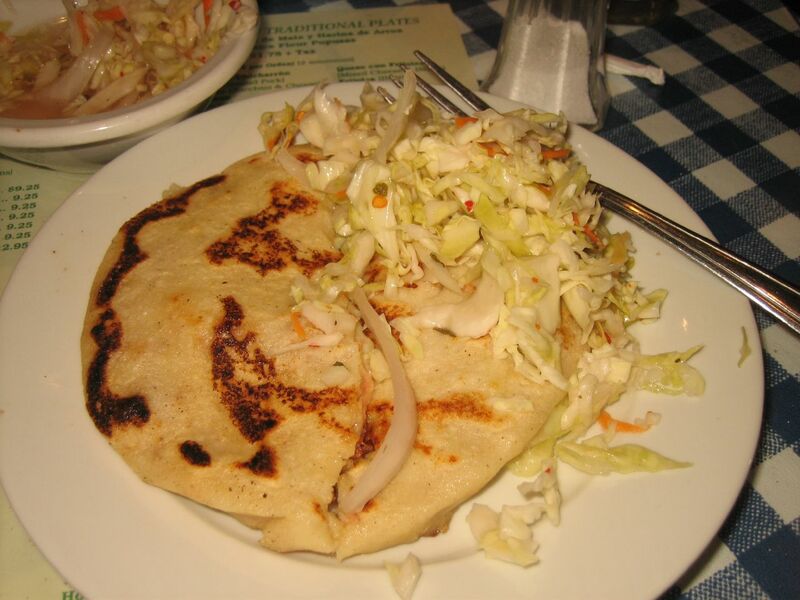 The curtido (pickled cabbage slaw) accompanying the pupusas was crisp and fresh and had the right amount of spicy kick. The whole dish was much better than Panchita's which was my last pupusa stop, but probably on par with those at that place in the outer Mission next to the church. To accompany the pupusas and soothe my neverending cold, I sampled the mondongo. After having mondongo at Popul Vuh, I was curious to see if there was a difference between the Salvadorean and Yucatecan styles. 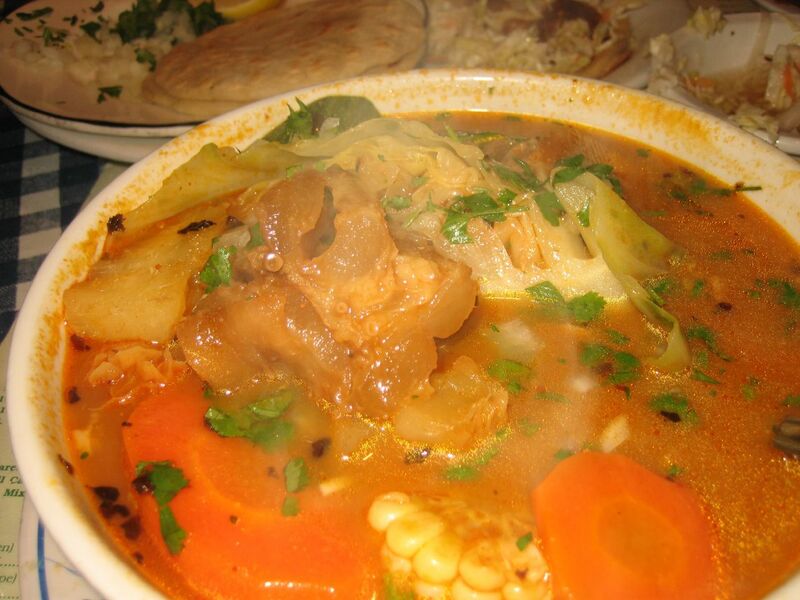 The mondongo at Balompie had cabbage, yucca, carrots, corn, tripe and tendon. It had more tendon and less tripe and the vegetables made it more aromatic than the PV version. Despite the addition of the vegetables, I preferred the more meaty tasting broth at PV. In any case, I'd definitely order this again at either place. Honduran mondongo is quite tasty, as well. I wonder if you could find it in San Fran? Sounds interesting would love to try it. I don't know of any in SF. Anyone else?